Secluded among majestic pine trees and green ferns, the Wildflower Music Festival is held on the grounds of the Dorflinger-Suydam Wildlife Sanctuary in White Mills, Pennsylvania. Spanning weekends in July and August for over 30 years, the Wildflower Music Festival presents quality entertainment in a natural amphitheater. Please bring along a lawn chair or a blanket. Picnics and beverages of your choice are permitted. In the event of inclement weather, performances are held at the air-conditioned auditorium of the Wallenpaupack Area High School. If in doubt on the day of performance, call or visit the website. Food is not permitted at the high school. 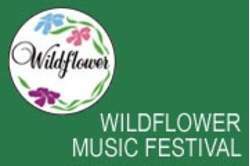 Wildflower Music Festival is held on the grounds of the Dorflinger-Suydam Wildlife Sanctuary.